The United States Securities and Exchange Commission (SEC) have announced that they will be holding a public forum in May that focuses on Blockchain technology and Digital Assets such as Cryptocurrencies. The announcement sets a promising precedent that suggests finally, the SEC could be about to fully open their doors to cryptocurrencies, after a public consultation of course. The forum will be held on the 31st of May 2019 and has been set up by the SEC’s strategic hub for innovation, also known as FinHub, a department within the SEC dedicated to exploring Fintech and blockchain technologies. This is the second time the SEC will have hosted a public forum on crypto, meaning that this is surely something they are starting to get serious about. The forum will be held in Washington at the SEC headquarters, with more to be announced in the coming weeks, including a list of speakers and other activities that will be taking place at the event. FinHub is a branch of the SEC that has been set up to explore innovation in technologies such as blockchain and finance. FinHub was established in October, though has since become an integral part of the SEC’s service. FinHub also seems to be responsible for much of the relationship building between the SEC, the public and those within the crypto industry that are responsible for institutional level cryptocurrency investment. In short, FinHub could be the department within the SEC that eventually accelerates cryptocurrency adoption, we can hope at least. The SEC are responsible for the future of cryptocurrency in the United States and are currently heavily involved in the current Bitcoin ETF saga. 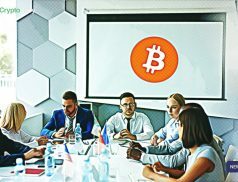 They are a very powerful entity and therefore it’s very exciting to see the SEC involving the public in forums and consultations in this way, it’s clear they want to see if the public are interested in crypto, with the view to establish more crypto regulations in the future, regulations that hopefully make Bitcoin adoption a real prospect.